Ah, the pleasure of getting out of the city, heading for the hills, rivers or lakes where clean fresh air awaits your arrival. Leaving behind the every day hustle and bustle and too many rush hours – only to look forward to the peace, tranquility and serenity that the great outdoors gives you and your family! Remember how the peaceful mornings bring that fragrance of bacon frying or the scent of coffee brewing – and how it lends special meaning to your senses? Yes, my friend, this is vacationing at its very finest! Hard to put a price on that. Camping memberships make available some great RV campgrounds and parks with camping facilities and cottages across this nation – whether you are RVing, pulling a travel trailer, pop-up or 5th wheeler. Many camping memberships offer swimming pools, clubhouses, tubing, volleyball, basketball and tennis courts, hiking trails, gated access as well as wilderness campsites. In other words, you can kick back and relax or be as active and playful as you want! The choice is yours. Why not SAVE $$ On Your Next Vacation! Another real plus to camping memberships is the FACT that it will SAVE YOU MONEY when compared to traditional vacationing! This is no small thing when putting the pen to paper. It’s just one more reason to seriously consider the reality of hotel and airfare costs, not to mention the costs of having to eat out every single meal, or the lack of privacy and cramped accommodations. Enjoy the Outdoors Through Camping Memberships! The camping memberships advertised for sale here are individually-owned by people just like you. Why pay the higher retail price when you can buy a membership on the resale market and save yourself some money – now and in the future. 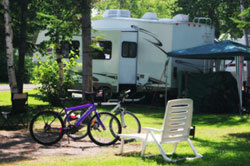 Take advantage of the excellent selection of campgrounds and benefits that camping memberships offer. Check out the camping memberships available for resale. Whether you are interested in buying or selling a camping membership, contact us for more information by filling out the form below.